Universal Truck Equipment in Galesville, WI was using a custom website system and a local email and server platform for content management. A modern website and content management system was needed to reduce time spent making website updates along with providing a better user experience for the end user, and to share content among employees in an easier way. The new website uses a mobile responsive website design. This allows the website visitor to view, navigate, and interact with smartphones, tablets, and other mobile devices with automatic resizing to fit the browser. Universal Truck Equipment also decided to move to the Google Apps for Work cloud-based service that provided the business with a way to work together on one communication management system. The Google Apps for Work tools are simple and intuitive enough for everyone to learn them quickly and easily, and because Vision Design Group is a Google Apps partner and is an experienced IT service company, we were able to evaluate, customize, deploy and transition Universal Truck Equipment to this new set up. With Google Apps for Work, Universal Truck Equipment also received a number of additional business-grade services including: professional email at their domain, additional storage, local phone and email support from Vision Design Group, 99.9% guaranteed uptime, interoperability with Microsoft Outlook, enhanced security features, and full administration of all user accounts. In addition to accessing Google Apps for Work mail from the Gmail web interface, users can send and receive mail from their favorite desktop client as well as any device from the office, on the road, or from home, including desktop computers, laptops, tablets, or smartphones. Google has one of the best spam blockers in the business, and it’s integrated into Google Apps. It features built-in virus checking and enforces checking of documents before allowing a user to download any message. 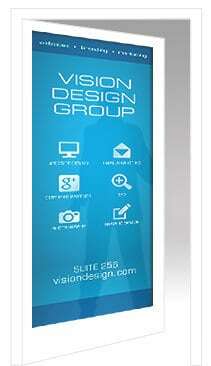 Vision Design Group also provides on-site training, data management and ongoing support. The need to set up the technical functions of Google Apps for Work account including individual device configuration, data migration of calendars, contacts, and current email messages, testing, and other needs customized to Universal Truck Equipment.